Supernova, artwork. This explosive event is the result of a massive star exhausting the hydrogen and helium that fuel its nuclear fires. It is the heat from these nuclear fusion processes that prevents the star collapsing under its own weight. 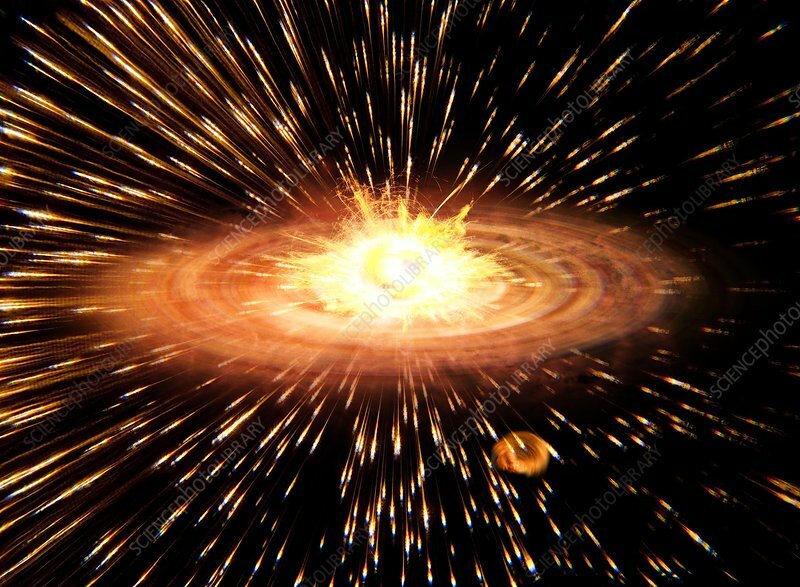 As the core collapses, a rebounding shock wave blows off the outer layers of the star at thousands of kilometres per second. A supernova may briefly outshine an entire galaxy.